Home networking might seem to be simple. With a modem to access your Internet service, and a router — both often provided by your Internet Service Provider (ISP) — you can get wireless networking in your home, both between devices and connecting to the Internet. But if you have a larger home or have many smart devices, the standard solution from your ISP may not work well in all areas. While there may be settings you can tweak in your router to improve performance, networking is a very technical area, and few consumers know how to do this, or fix something when it doesn't work. Indeed, some consumers don't even know how to change the initial default password for their wireless network – which is a security hazard waiting to happen. The number of smart devices that are being connected to home networks is exploding every year. Smart lights, cameras, speakers, thermostats, appliances, streaming devices, and TVs all need robust networking for proper operation. You may not even remember how many devices you depend on that are connected to your network. But when the network falters, you end up noticing. Your high definition and 4K video may buffer incessantly or freeze, your smart speaker can't do anything because it lost its connection, or your smart camera can’t send any alerts video feeds. More serious issues might come up, like being unable to operate your smart lock — hope you have the key! If you have a smaller house or perhaps can tolerate the occasional hiccups from your network, maybe you can get by without professionally installed and optimized home networking. But if you want to run a smart home with many devices, you rely on your network for security features, and you need high bandwidth for work and entertainment at home, you would be wise to consider professional installation services and equipment for your home network. At Encore Audio-Video, we work with Pakedge for installing high-performance home networks in Portland, OR. Why? Because Pakedge is part of Control4, our smart home solution partner, and they offer business-class performance for your home networking needs. Read on to learn more about how Pakedge networks stand out from the rest. There is a complex area in setting up a high-performance network that can be hard to set up correctly. Pakedge has simplified the process of setting up home networks with many devices. One method to optimize a system is to prioritize network traffic. Some applications and devices need higher priority than others. Priority also translates to latency, where packets of digital information are processed faster than others. Some devices cannot tolerate gaps in traffic. For example, high-latency in a voice connection may cause you to miss parts of a conversation, or in a video you are watching the picture may stutter, buffer, or freeze. Other data, like web browsing on a computer or other device, is far more tolerant of delays. One of the solutions to this that can be turned on in some sophisticated routers is virtual LANs or VLANs. This is a method of separating and prioritizing traffic on a network. In most routers, this is a complicated feature to set up correctly. In a Pakedge system, it is very easy to segment traffic into buckets that are high, low, and medium priorities. Once that is done, the type of traffic — like video — is treated the same way in any part of the network, whether it is wired or wireless, or coming through an access point. Important categories like automated lighting control also get high priority, because when you want a light to turn on, you don't want a delay that you wouldn't experience over a regular light switch. Remote management is the ability to access a network installation remotely to update and manage the system. Pakedge integrates Bakpak, their remote setup and management solution, into their products. With Bakpak, we can do almost any modification to your setup, or diagnose most potential issues, without having to visit your home. You can even choose to have us monitor your network, and we can get alerts that tell us if a device goes offline for any reason, even before you might notice it. Another critical aspect is that we can check that your network is secure, and monitor if anyone is trying to hack it. Most consumers never update their networking software once installed, but with Bakpak, we can apply software updates remotely to ensure smooth and secure operation. Pakedge hardware is built to a higher level of specification than consumer products. It’s important to know that not all wireless routers and access points are engineered the same way, and specifications do not always tell the whole story. Pakedge equipment incorporates high-performance processors, antennas, and other components that can handle the most demanding network traffic. You’ll also be pleased to know that hardware like routers and access points can be hidden so that they do not impinge on your décor. 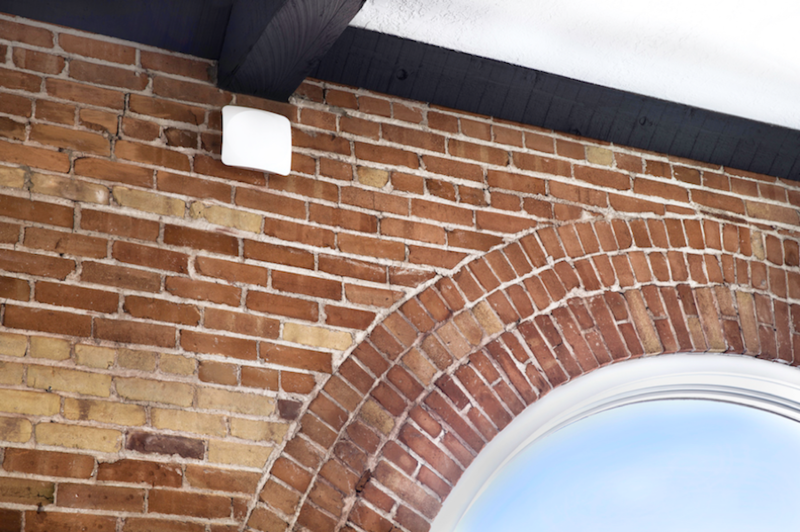 We can mount wireless access points high on a wall or ceiling and make it nearly invisible. Wireless control components can also be hidden in racks or wall mounted unobtrusively, and some models are designed specifically for outdoor use — and can withstand our wet Pacific Northwest climate. If you want a high-performance, no-maintenance home networking solution in Portland, OR, let us show you why professional installation and equipment pays for itself in the long term. Contact us here or click below to be immediately connected to one of our specialists.